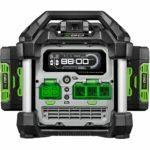 4/8/2019 Over a month ago I wrote about the RYOBI RYi300BG 300 Watt 40V Battery Powered Inverter Generator and thanks to DrewBHAM, he found the manual to this new inverter and it reveals a couple of new interesting facts about the inverter with one of them being a new name change, or possible name change. 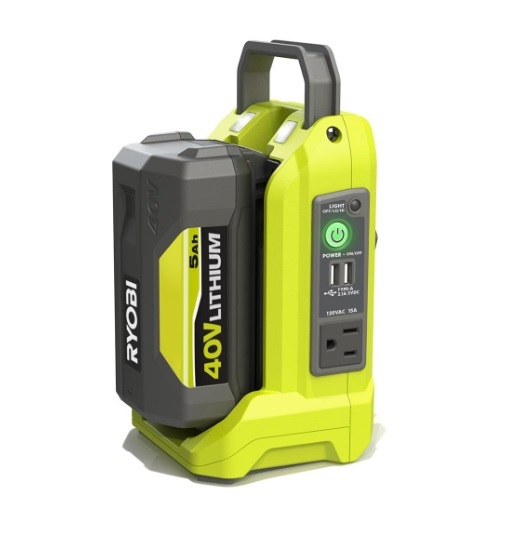 The manual calls it a power source, so it should read as the RYOBI RYi300BG 300 Watt 40V Power Source now although I am not sure if the difference in name in the manual means the product itself will get a complete name change. It makes sense that they may have changed the name and omitted the generator part of the name since it’s not a generator at all since it’s not producing “new” power. They also may have changed the name to make Drew Morgan happy since he was very vocal against the “generator” portion of the name 🤣. output only. The single 120 volt outlet is only 2.5 amps. 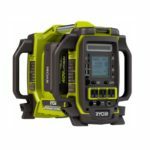 Whats interesting about the new RYOBI RYi300BG 300 Watt 40V Battery Powered Inverter Generator – now known simply as the Ryobi RYi300BG 300 Watt 40V Power Source is that it’s Ryobi’s answer to Ego’s Nexus inverter. 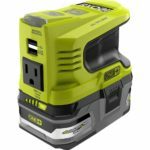 It takes Ryobi 40V batteries to put out 300 watts of AC power for low consumption household appliances that plug in through the single 120V AC port. It also includes two USB ports, handle and a dual LED light making this a great handy little unit for camping. It will be available soon and it’s going to retail for $99 as a baretool. A huge thanks to DrewBHAM for spotting and sharing! Do you know when RYOBI will be officially announcing these two generators? Also, any word if comparable products will be coming to Milwaukee or RIDGID? Regarding your second question, I post new info as it comes. In other words, if I knew something was in the works you’d have read about it here. This version makes a lot more sense. Price is right and you’d get about 30min at 300w. I have to agree that it SHOULD be pure sine wave but at this price, I’m betting it isn’t. It is still REALLY dumb that they’re trying to call these generators. Someone at Ryobi Marketing needs to be fired. I can guarantee anyone who reviews tools and isn’t a total shill is going to make fun of this. The “brains” behind a pure sine wave inverter have been highly integrated into module form (IC chip sets) for a few years now. If a company wanted to, and the in-house engineering team had the talent, a pure sine inverter can be a low cost design. But, typically these types of “accessory” products are outsourced designs, and the engineering teams behind them are of varying expertise. Any idea when will these be available. The simple answer is soon as Ryobi hasn’t disclosed released dates.